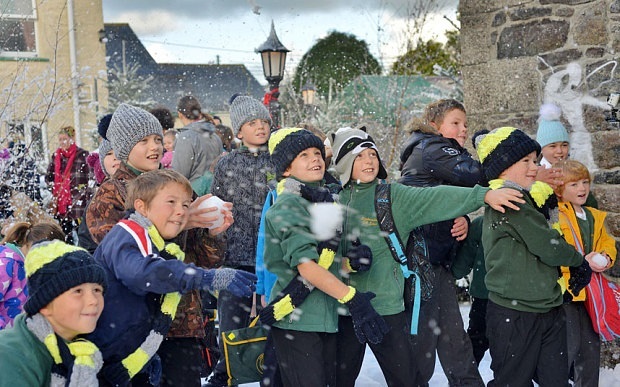 Children at Landewednack Primary school on Cornwall's Lizard Peninsula were met by this magical winter scene when they returned to school after half-term. 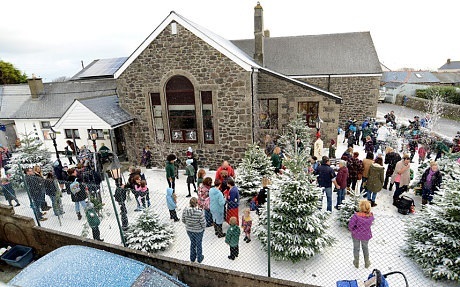 Being the most southerly school on Britain's mainland, snow is something of a rare occurrence for the children of Landewednack, ?so in a random act of kindness from mystery twitter user '@thetwofaries', the school has been transformed into this winter wonderland, much to the delight of the pupils! Headmistress of the school, Louise Jones, said "It's a big surprise. Our school is the most southerly in the country and the air is very salty so we never get snow. Some of the younger children have never seen snow but this is the real thing - you can even throw snow balls." For the first time for a lots of them, the children were able to build snowmen and make snowballs, one seven year old boy told his parents the snow must have been personally delivered by Father Christmas! However, this random act of kindness?was the work of a group who use the twitter name '@thetwofairies'. Over the past few days various people have received different gifts out of the blue, such as one student who tweeted about having to be in on a Saturday night doing revision work, she received a box of tea, sweets and chocolate from the group, while another who tweeted that she could do with some 'pampering', was delivered a bag of cosmetics. Follow us to the north, above the Tyne we'll take flight." Whatever their motive, in the world we live in today, these two mystery individuals have certainly put a huge smile on the faces of the children of Landewednack school. 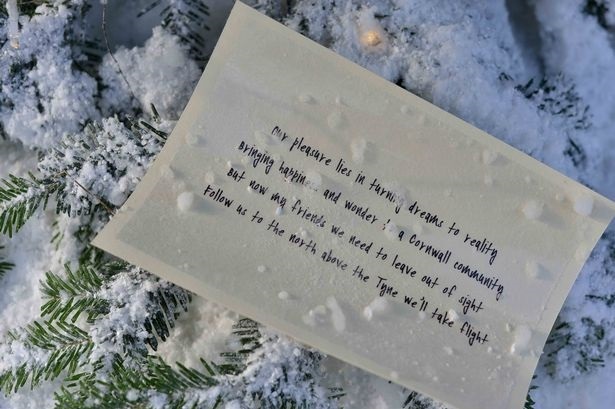 ?The note implies that they're heading north to Newcastle for their next surprise, we'll look forward to seeing what it'll be! A great story that started on The Lizard.